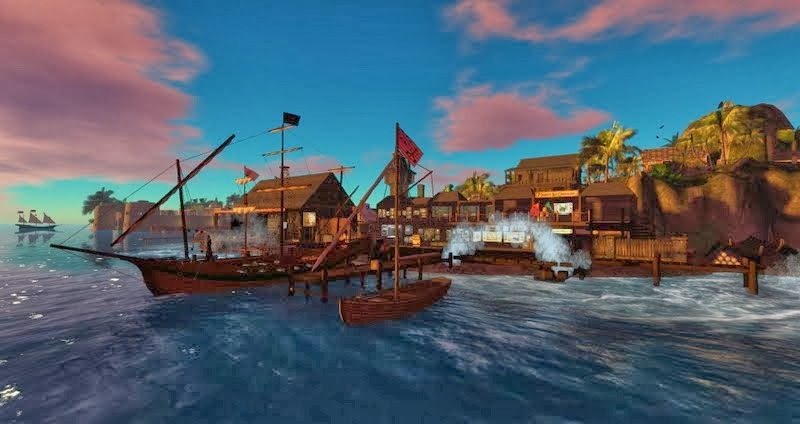 Sail the Seas with the Trade Winds Pirates – and Designing Worlds! Designing Worlds’ visit to the amazing Trade Winds – and its crew of rascally pirates – in now on the web! Join us as we sail the seas (and drink in the taverns) with the magnificent pirates of the Trade Winds! We talk to some of the pirates and boat-builders active in the Trade Winds, including Blithe Binder, Kirsten Blackheart, MizLucie Winterwolf, Karnac Binder, GM Nikolaidis, Evvva Viper, Amber Murfin, Flops, Paddy SaltyDog Goldsworthy and tessa Vespucciano, and are entertained by the fantastic Deelah Halostar. We learn about the pirates, the Trade Winds, the history of pirates in the Caribbean, the wonderful craft they sail in – and we get to take part in a battle too! Previous Post: Seder, Easter, Strawberries and Thanks!